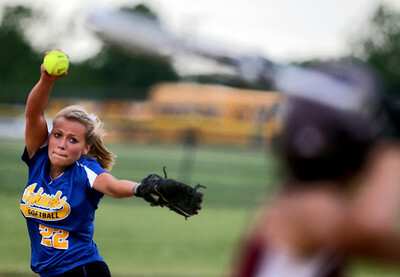 Sarah Nader - snader@shawmedia.com Richmond-Burton's Haylea Hoskins pitched during Monday's IHSA 3A Regional Championship against Johnsburg on May 28, 2012. Richmond-Burton won, 13-9. 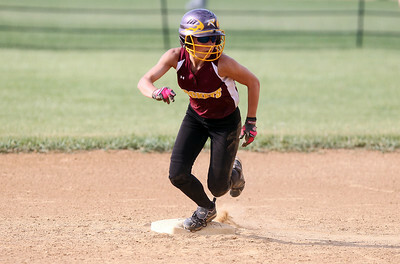 Sarah Nader - snader@shawmedia.com Richmond-Burton's Stephanie Redley runs to second base during Monday's IHSA 3A Regional Championship against Johnsburg in Johnsburg on May 28, 2012. Richmond-Burton won, 13-9. 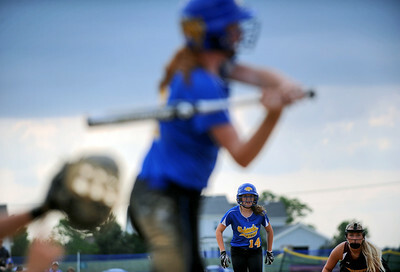 Sarah Nader - snader@shawmedia.com Johnsburg's Kayla Toussaint makes contact with the ball during Monday's IHSA 3A Regional Championship against Richmond-Burton in Johnsburg on May 28, 2012. Richmond-Burton won, 13-9. Sarah Nader - snader@shawmedia.com Richmond-Burton's Lily Mazzanti (left) tags out Johnsburg's Maycee Ward while she slid to second base during Monday's IHSA 3A Regional Championship on May 28, 2012. Richmond-Burton won, 13-9. 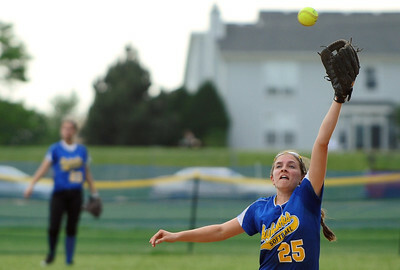 Sarah Nader - snader@shawmedia.com Johnsburg's Kendall Huemann pitched during Monday's IHSA 3A Regional Championship against Richmond-Burton in Johnsburg on May 28, 2012. Richmond-Burton won, 13-9. 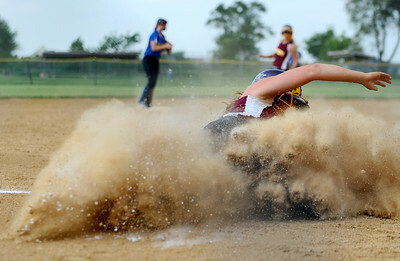 Sarah Nader - snader@shawmedia.com Richmond-Burton's Riley Stanton slides safely into third during Monday's IHSA 3A Regional Championship against Johnsburg on May 28, 2012. Richmond-Burton won, 13-9. 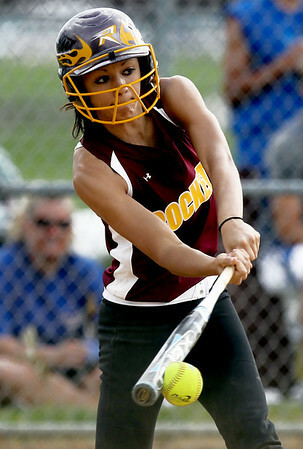 Sarah Nader - snader@shawmedia.com Ricmond-Burton's Lily Mazzanti makes contact with the ball during Monday's IHSA 3A Regional Championship against Johnsburg on May 28, 2012. Richmond-Burton won, 13-9. 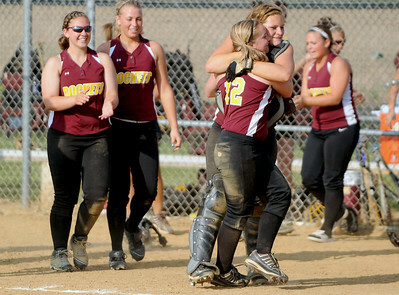 Sarah Nader - snader@shawmedia.com Richmond-Brton's Haylea Hoskins (center) hugs a teammate while celebrating their win against Johnsburg during Monday's IHSA 3A Regional Championship on May 28, 2012. Richmond-Burton won, 13-9. Sarah Nader - snader@shawmedia.com Johnsburg's Stephanie Cherwin jumps to catch a ball during Monday's IHSA 3A Regional Championship against Richmond-Burton in Johnsburg on May 28, 2012. Richmond-Burton won, 13-9. 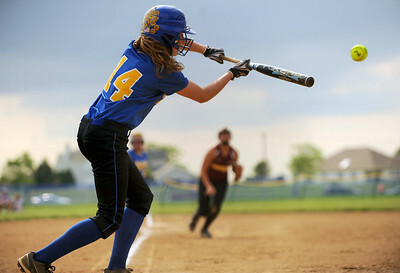 Sarah Nader - snader@shawmedia.com Johnsburg's Kayla Toussaint waits to run home during Monday's IHSA 3A Regional Championship against Richmond-Burton in Johnsburg on May 28, 2012. Richmond-Burton won, 13-9. 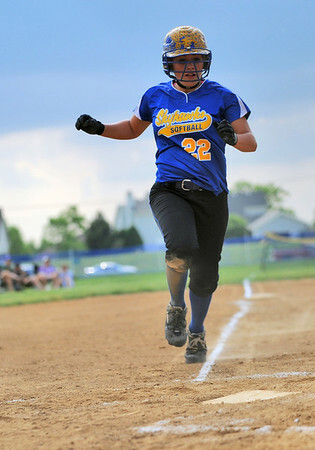 Sarah Nader - snader@shawmedia.com Johnsburg's runs home during Monday's IHSA 3A Regional Championship against Richmond-Burton in Johnsburg on May 28, 2012. Richmond-Burton won, 13-9. 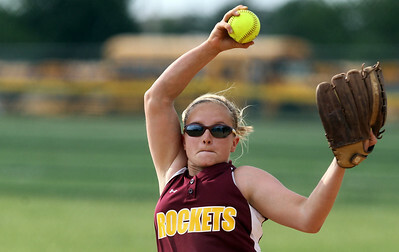 Richmond-Burton's Haylea Hoskins pitched during Monday's IHSA 3A Regional Championship against Johnsburg on May 28, 2012. Richmond-Burton won, 13-9.